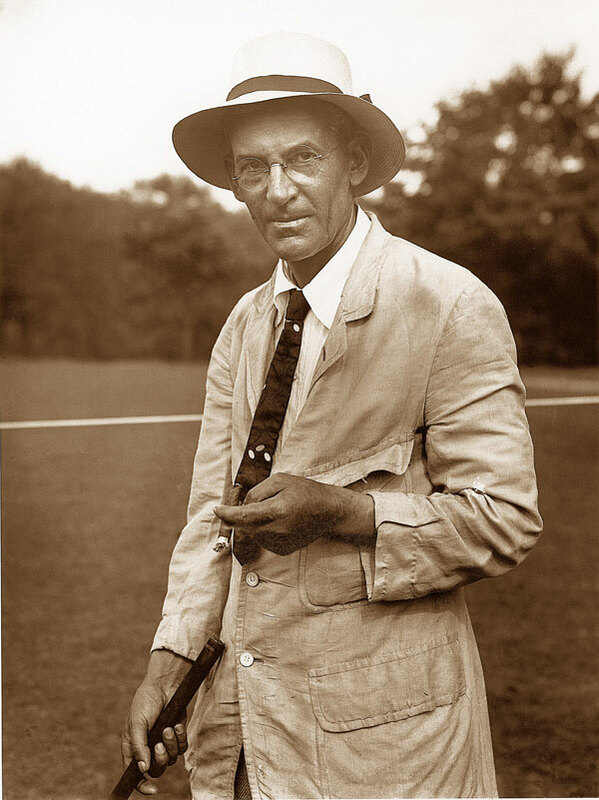 The Walter J. Travis Society was founded in 1994 to promote the legacy of Walter J. Travis, America’s foremost amateur golfer of the early 1900s, golf journalist and publisher, turfgrass expert, golf course architect, and one of the great pioneers of golf in North America. The Travis Society is dedicated to documenting the remarkable career of Walter J. Travis in order to fully understand and honor his varied accomplishments and contributions. We strive to create an interesting and informative site that is updated regularly. We invite your comments and suggestions. To be a part of our mission to highlight and honor the Travis legacy, we invite you to become a member in the Travis Society. “Golf is a wonderful game—absolutely unique. It develops the good qualities of a man’s nature and softens the poor ones. “As a disciplinarian and establisher of character, it is without a peer. “It cultivates patience and endurance under adversity and yet keeps constantly alive the fires of hope. It is a leveler of ranks and classes: rich and poor alike meet on common ground. Skill at it cannot be purchased except by application, concentration, hard work, much travail of spirit and undying faith—all of which really represent a labor of love. It has saved thousands of lives, and broadened, sweetened and enriched the minds and dispositions of many thousands more. It has given birth to and firmly cemented friendships without number.